The 8th grade Girls Basketball team defeated Lexington Middle School on Saturday, 36-21. Ashley Cox led scoring with 13 points. The girls program will play @ Upper Arlington Hastings tonight. The 8th Grade Boys Basketball team lost to a tough Lexington opponent on Saturday. Kyle Kesel hit a 3 point shot at the end of regulation to force the game to overtime but the Panthers fell short, 47-43. The Panthers play their next game tonight, at home, vs. Upper Arlington Hastings. Please come and support your Panthers! 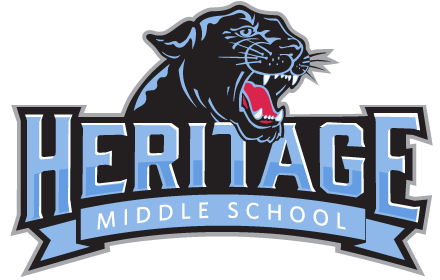 HMS Ski Club: Hey Heritage! The HMS Ski Club wants you to join! Please see Ms. Boza or Mr. Gingerich for details on how to sign up! It’s a total blast and you’ll love it. The $100.00 Bus Fee is due December 19th…so please get that in as soon as possible. Panther Ambassadors: Please remember our monthly meeting is Thursday, December 6th immediately after school in the Media Center.